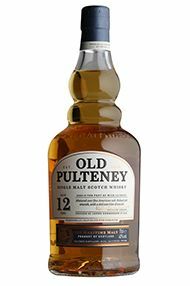 Established in 1826 in Wick, Pulteney Distillery is the most northerly distillery on the Scottish mainland and at that time was only accessible by sea. The barley was brought in by sea, the whisky shipped out by boat and many of the distillery workers were also employed as fishermen. 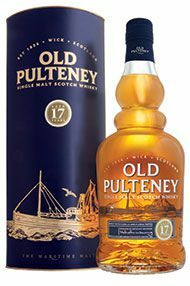 During the years of maturation, Old Pulteney absorbs the sea breeze shaping its distinct flavour. 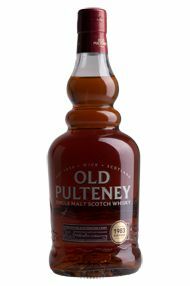 The heritage of Wick is strongly portrayed in the presentation of Old Pulteney. The distinctive still shaped bottle is screen printed with a traditional Wick herring drifter. These boats were used to catch herring at the beginning of the 19th century. An ancient map of the north of Scotland is printed on the inside, pinpointing Pulteney Distillery. 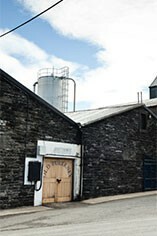 The distillery is named after an old estate in the Southern part of the city of Wick, Pulteney town. The founding Henderson family kept ownership of the distillery until the mid 1920's, when it was bought by James Wartson, owner of Parkmore and Ord. The current owners, the Inver House company bought both Balblair and Pulteney distilleries in 1995. 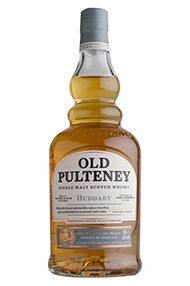 Pulteney's signature single malt is known as Old Pulteney, characterised by a vividly fresh, dry, salty tang. The majority of the production is destined for the blends of Inver House such as MacArthur's and Pinwinnie Royal, and for the Heather Cream whisky liqueur. 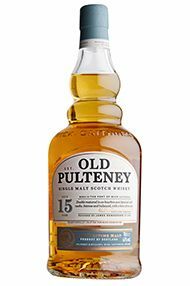 From the second most northerly distillery on the Scottish mainland comes this recently released 15-year-old, showing the hallmark roundness of the spirits from this beguiling distillery. The nose has touches of citrus with a more dominant honeyed, nutty character swaggering through with time. The palate is fairly luscious and hints at cinder-toffee and malt-loaf, with these heavier, spicier flavours continuing through onto the finish. This is a versatile whisky, equally at home in the flask or by the fireside. 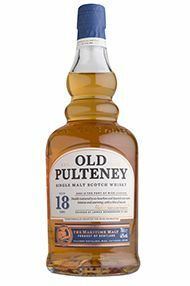 Old Pulteney 17 y.o.reveals a sweet, ripe fruitiness on the nose with a hint of woodiness and lemongrass. Full bodied with intense vanilla overtones and citrus blossom, overlaid by caramel and smoke hints. Long-lasting, refreshing finish.